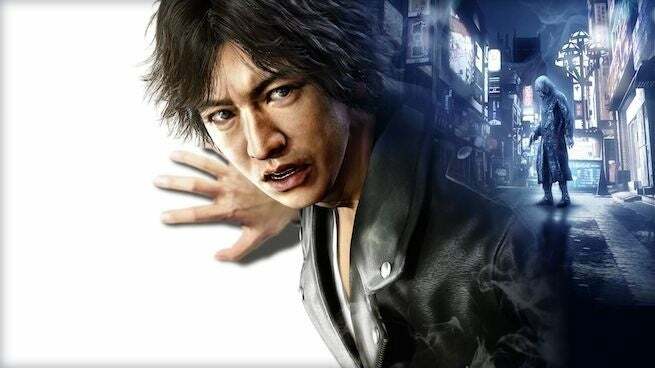 Today Sega announced that the new game from the developers behind Yakuza, Judgment (previously revealed as Project Judge) is coming to North America and Europe sometime in 2019 during the summer via the PlayStation 4. As you may know, the game is poised to release next week, on December 13, in Japan. In addition to announcing that the game is coming west, Sega also revealed it will receive a full English dub that includes Greg Chun as protagonist Takayuki Yagami and Joe Zieja as Issei Hoshino. For those that don&apos;t know: Judgment is a courtroom thriller meets Yakuza game set in modern day Tokyo and revolving around a serial murder case. In it, you play as private detective Takayuki Yagami, "a man of conviction who fights for his beliefs, despite the overwhelming despair surrounding him." The game has apparently been in development for over three years, and like the Yakuza series, features a great deal of storytelling and tackles mature themes while also occasionally getting a little zany. "Enhancing the game’s position as a courtroom thriller and embodying the feeling of playing a detective, players will need to utilize key investigative skills in conjunction with unique gameplay features to unveil the truths hidden at the core of Judgment&apos;s plot. "What lies beyond the suffering and failures of the man trapped within his past; is it a divine revelation, or something more sinister?" Personally, I&apos;ve always loved the Yakuza games via an outsiders perspective, but never had the time to properly sink my teeth into the series. In other words, it&apos;s nice to see the studio working on something brand-new that doesn&apos;t require 100s of hours of playtime to be fully invested. At the moment of publishing this, the game has only been announced for PlayStation 4. There&apos;s been no word of a Nintendo Swith, PC, or Xbox One port. Of these three, a PC port seems the most probable, but given the PlayStation exclusivity of the Yakuza series, there&apos;s a good chance this one will only hit the PS4. Published on Sat, 08 Dec 2018 20:08:51 GMT, © All rights reserved by the publisher.